SAP S/4 HANA is representing the Digital Core that is being adopted by many companies taking the next steps towards the future, into the digital transformation. In this series we want to get into more depth with SAP S/4HANA related topics, like integration, Fiori and loads more. Therefore we will interview product experts to get a better insight and the information right from the source. 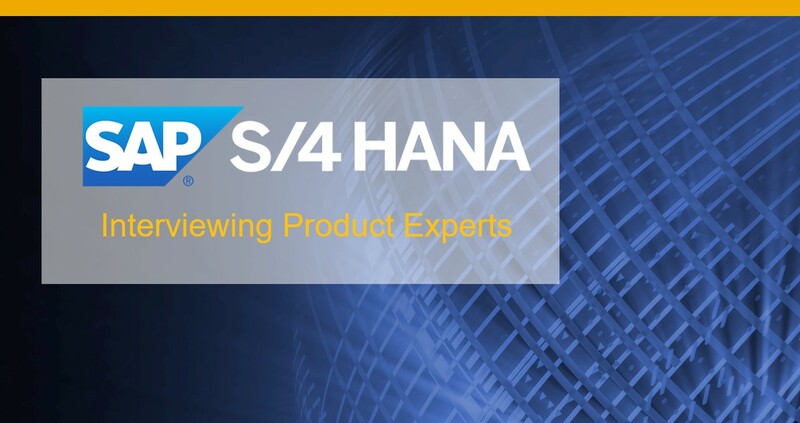 With this series of interviews which will continue throughout the rest of the year, we want to encourage you to dig deeper and stay informed as we progress with SAP S/4HANA. If you bookmark this blog post you will have a comprehensive list of all blogs listed below.